The Uruguayan is the great asset of Girona to advance in the Cup. In the League it is fundamental: he has twelve of the 21 that the team has and has given them ten points to the team. 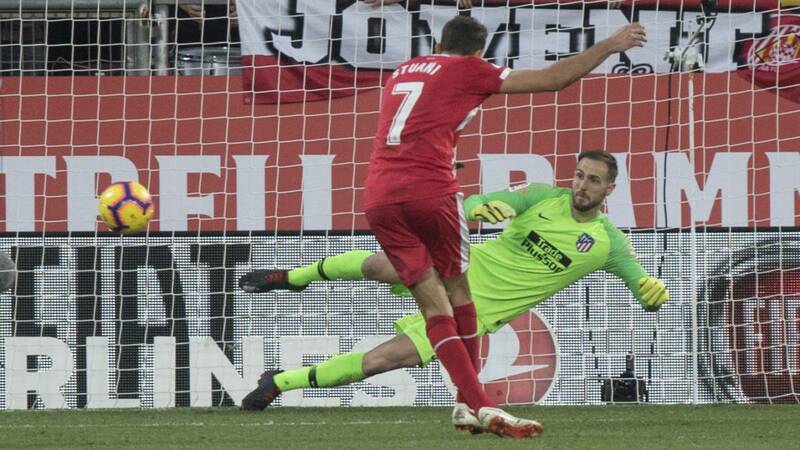 Cristhian Stuani is living a golden age in Girona and this afternoon he will visit one of his favorite victims, Atlético. The Uruguayan striker, 32, seems to have taken the measure to the whole Madrid because in the last two duels has made three goals. The last was on day 14 of this League. On Sunday he will not be able to play in the league against Betis and Eusebio will not hesitate to give him the title. This way, today he will live his third challenge against Atletico with the shirt rojiblanca. The Girona is living on the goals of Stuani and is that he is the most decisive player in the whole of Eusebio. This course is beating all its records because if the previous campaign had ten goals after 19 games of League, actually has already 12. has signed 57 percent of the goals of the rojiblancos this season and is the one with the highest percentage in a club this League ahead of players like Borja Iglesias (Espanyol) and Raúl de Tomás (Rayo Vallecano). In addition, they have been so vital because only the double that he achieved in matchday 8 against Eibar did not translate into points. The rest le have given their team ten. Es history in Girona and we must add another gold data that still praises him more because is the player who has scored the first goal in more games (six) . His journey in Girona are relaunched and Atlético is suffering since the team from Gerona stepped on the First Division. He scored 33 of the 71 goals at the rojiblancos in the highest category. And it was precisely before the Madrileños when it premiered, because in the first game in Montilivi last season he signed a double that put the 2-0, although in the end it would be worth only one point (2-2). He has never stepped on the Metropolitan Wanda. Today will test your voracity. Stuani will debut today in Copa del Rey with Girona. Ni last year, with Machín on the bench, nor in this edition has played a single match of this competition with Girona. Both Machin and Eusebio left him out in all the qualifiers because they prioritized the League. Today he goes on stage.